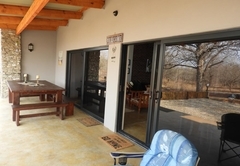 Flight of the Eagle @ Kruger is a property providing self catering in Marloth Park for up to 5 guests visiting the Wild Frontier region. 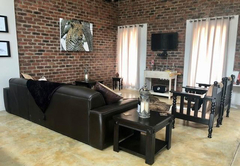 Flight of the Eagle @ Kruger is located in Marloth Park and offers accommodation for up to five guests, maximum four adults. 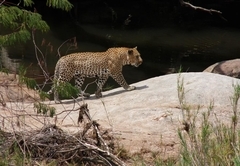 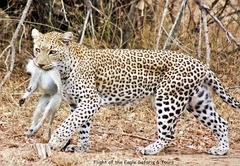 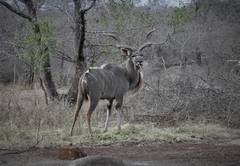 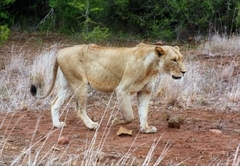 Lionspruit Game Reserve is 6 km from the holiday home. 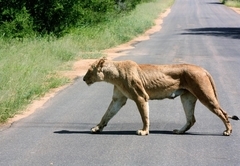 Kruger Mpumalanga International Airport is 102 km away. 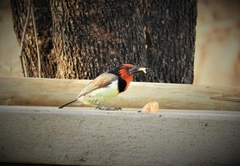 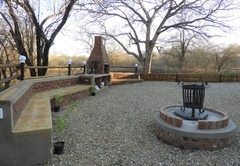 Flight of the Eagle @ Kruger is a self catering holiday home with two bedrooms, two bathrooms and air conditioning. 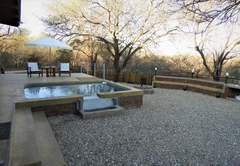 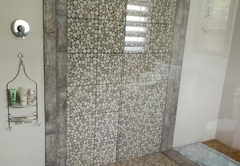 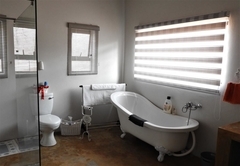 The bathrooms have a bath and walk in shower and are also equipped with a hairdryer. 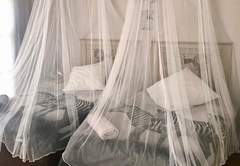 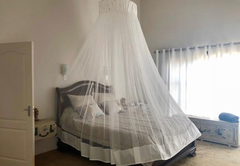 The first bedroom is large and has a Queen-size bed with mosquito net. 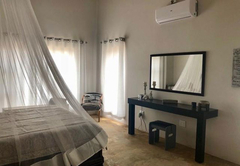 The second bedroom has two three quarter beds which can be converted into a Queen-size bed on request. 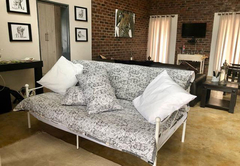 There is a day bed available for one child. 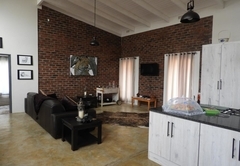 An open plan double volume living area includes kitchen, lounge and dining room. 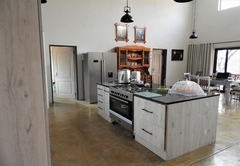 The kitchen is well equipped with a side by side fridge / freezer, oven and hob. 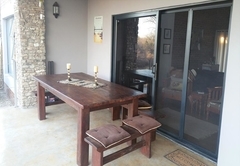 The dining area has a large dining table and the lounge has comfortable furniture and a TV with DStv. 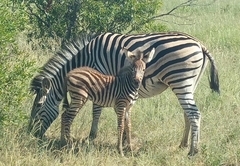 There is no internet access available. 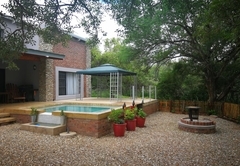 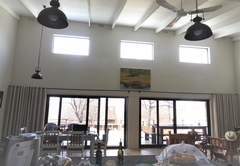 Outside there is a large patio with outdoor table and chairs, outdoor furniture, braai area with built in seating and swimming pool. 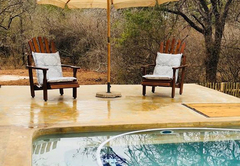 Game roam freely in the area, and Flight of the Eagle @ Kruger is just 50 steps from the Kruger National Park's fence that separate Marloth Park from the Kruger. 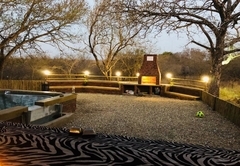 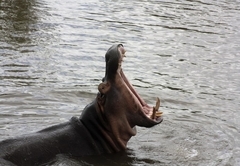 From here guests may be able to see lions, elephants, hippos, waterbuck, kudus, giraffe, and more. 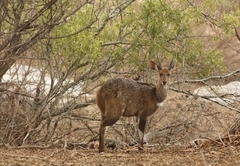 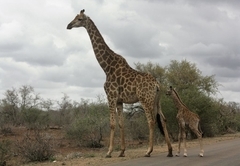 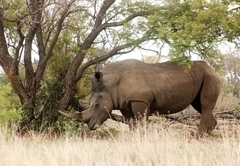 Marloth Park is a holiday township with wildlife roaming freely. 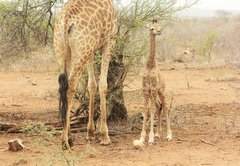 Please do not scare the animals and treat them with the utmost respect. 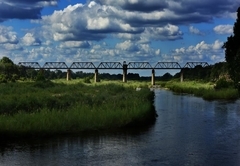 Noise, pets and pollution are strictly prohibited. 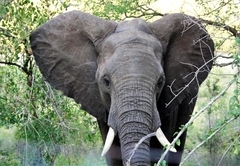 Please report any abuse of animals immediately. 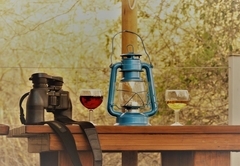 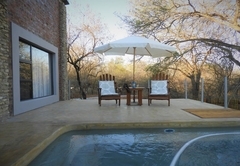 Flight of the Eagle @ Kruger is a self catering holiday home with two bedrooms, two bathrooms and air conditioning. 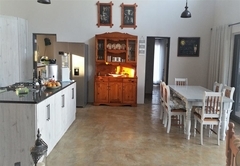 An open plan double volume living area includes kitchen, lounge and dining room. 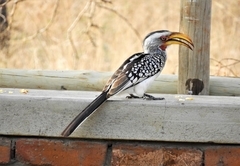 Response timeFlight of the Eagle @ Kruger typically responds to requests in 5-10 minutes.